I’m a student and I’m currently working on a school project about animal testing. I’d really like to use your infographic because a) I tried to make my own, it completely failed and b) it explains China’s animal testing laws really well. However, since its from 2016 and, according to other sites, the laws have changed since then, I was wondering if I could please edit it to match today’s laws? Thanks so much! Dear Vicky, thank you for the article. I saw someone asking the question “Why it is mandated in China to test on animals?” Would you please share your view? This is such a great blog, and the infographic makes it so simple to understand the Chinese laws on animal testing. Would you be okay with my sharing the infographic with a link to this page on my blog? I have co-started a cruelty-free blog for brands available in India, and would love to be able to educate readers with this piece. Thank you so much for this post! I have come across it when creating my own post about animal testing in china. I have borrowed your amazing info graphic to add to my post as it makes the understanding so much easier. I”ll link to your website but please do let me know if don’t wish me to copy it. I’m still a little confused? is it still cruelty free? Yes, exactly what Milena said is true. It’s only an issue if the products are SOLD in China. If you’re buying a cruelty-free brand in England but they say that they make or produce their products overseas in China, BUT they don’t distribute or sell in China… then they’re still cruelty-free. We now know that China law require animal testing in order to sell but WHY? Thanks a lot for posting such clear piece of information 🙂 Is this the current status, as of today’s date: 29th August, 2016? I’ve been asking some of my favourite brands this question, and sadly, no good responses came out :(, except maybe for Uriage: they already emailed me 3 times telling me they don’t test on animals, but I keep insisting on the Chinese laws. I’m now waiting for their response on whether they just sell online in China or if they sell there physically. Fingers crossed! Since I’m on the subject, do you know the status of that company? Also, can you please tell me a few good, known brands that are cruelty-free and that you know of? I manufacture vegan, Certified cruelty free skincare products and only sell in Australia. I’ve been creating since 1989 and am passionate about ensuring every ingredient is cruelty free including absolutely palm oil free products. Hello Vicky, i hope you are reading this. I am kind of new to this whole thinking of cruelty-free (since i always kind of thought.. such a thing like testing on animals wouldnt be on this world anymore.. but yeah, i was naive) however.. i really have a question to you. and hope you might can answer it. what does that mean for that? are they cruelty-free? since i believe these stores have their products via online-stores? and as i read.. they dont test then? I nearly searched everything. and i dont believe im getting a really satisfying answer either from their website. still. i am super in love with their products but want to make it sure.. before i am using them again. sorry btw for my bad english. i am from germany. 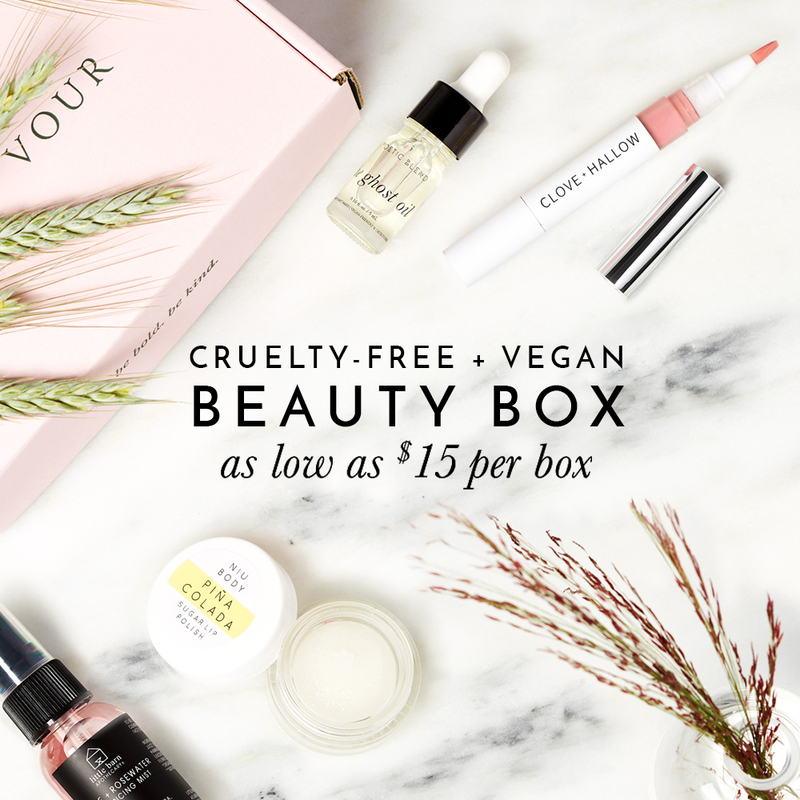 Glad to hear that you’re switching over to cruelty-free products! =) I know, it’s 2016 and some companies are still testing on animals! Such a shame. I’m happy to hear you’re asking all the right questions too! I haven’t done much research on Moroccan Oil yet but there have been rumors circulating online that they are indeed selling their products in mainland China. The best way to get a solid answer is to email them and ask if any of their products are sold in mainland China. I have a feeling that those 10 hairdressers and spas you mentioned ARE selling Moroccan Oil products and not just online but I don’t know for certain unless they admit it. Hi again Kira, they surprisingly got back to me quickly. It sounds like they’re gearing up to sell their products in China. It’s not clear whether or not they’ll be exclusively selling via online retailers. They also didn’t address the issues of China’s animal testing requirements. To me, it doesn’t sound like they care about the issues of testing their products on animals in order to sell in China so sadly, I wouldn’t consider Moroccan Oil to be a cruelty-free brand. Sadly i wasnt on the internet yesterday. I am so thankful that you already contacted them and asked for that. But somehow sad that they gave this answer… however. thank you so so much for your help! I really hope they change their mind some day. But till now i will definally try some of the brands you mentioned! Also i am trying to look around your blog now to change my products time by time (when theyre empty) to get the right things and finally be able to support cruelty-free. This might be a dumb question too… but everything which is a vegan product should be cruelty-free, right? Would be a little weird if its not..
Also again.. cant say it enough, thank you! I was also disappointed to hear that response from Moroccan Oil too! I really do hope they step it up and if they enter the Chinese market, that they’ll address the issues of animal testing sooner rather than later! Yes, on ethical elephant.. when I mention something is vegan, I mean that it’s also cruelty-free =) BUT I can’t say the same about other websites or even companies when they use the term “vegan” to describe their products. Thanks for the post, Vicky. You’re probably unaware, but the Google ad in your sidebar is showing an Estee Lauder product, and according to PETA that company currently tests on animals. Arghs, I know! It drives me crazy, been trying to find a way to prevent them from showing up on my blog! =( Thanks for the heads up, David!